Original photo © 2015 Anton Hunter. Additional graphics © 2016 Han-earl Park. 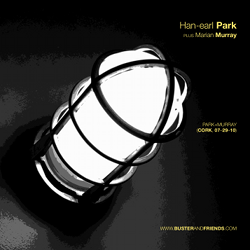 Friday, January 29, 2016, at 1:10pm: Han-earl Park (guitar), Dominic Lash (double bass), Mark Sanders (drums) and Caroline Pugh (voice and electronics) presented by FUAIM Music at UCC, perform at the Aula Maxima (University College Cork, Cork). Admission is free. 01–28-16: sadly, Mark’s flight was cancelled. The performance will go ahead as a trio of Han, Dom and Caroline. With the release of the recording with Paul Dunmall and Mark Sanders, I’ve completed the current series of download albums, and I’ve been taking a break from releasing new recordings. The albums so far—all Creative Commons licensed, and free or ‘name your price’—are collated here and on the downloads page. With a break in the release schedule, I’ve taken the opportunity to overhaul the downloads page; the most significant update since I started, in September 2010, formally offering complete concert recordings online. 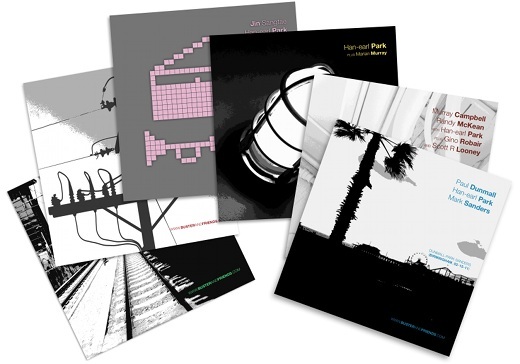 One notable update to the downloads page is the addition of the recommended Bandcamp albums that accompanied the current series. 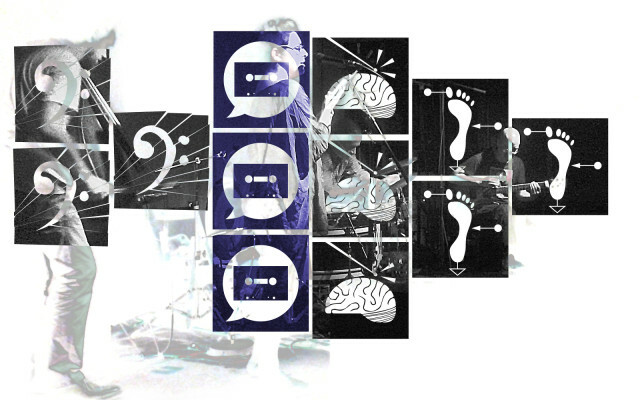 As I wrote previously, there are some very fine and inspiring creative, improvised and experimental music on Bandcamp, but it isn’t always easy to find the recordings. Here’s my small contribution to help people get started. Enjoy, download, share—support creative musicians! Keywords: improvised music, creative music, jazz, free jazz, free improvisation, experimental music, electronic music, electroacoustic. Billy Jenkins: Songs of Praise Live! A couple of more download releases in the pipeline after which I’m planning to take a short break. The releases so far—all Creative Commons licensed, and free or ‘name your price’—are collated here. I’ve also listed my recommended Bandcamp albums that have accompanied the releases. There are some very fine, inspiring creative, improvised, experimental music on Bandcamp, but it isn’t always easy to find the recordings. Here’s my small contribution to help people get started. Enjoy, download, share—support creative musicians! Performers: Richard Barrett (electronics) and Han-earl Park (guitar). Performers: io 0.0.1 beta++ (itself), Han-earl Park (guitar), Bruce Coates (alto and sopranino saxophones) and Franziska Schroeder (soprano saxophone). A wonderful gem of a recording. There is a new surprise around nearly every corner throughout this often fascinating performance. A one-of-a-kind improvised musical meeting between artists from Ireland based overseas, and a then Ireland-based artist from abroad which took place on April 4, 2011 at The Roundy, Cork, Ireland. This was a rare performance in Ireland by Catherine Sikora (New York-based, originally from West Cork), a saxophonist with a striking, compelling sound. She has been described as “a free-blowing player’s player with a spectacular harmonic imagination and an evolved understanding of the tonal palette of the saxophone” (Chris Elliot, Seacoast Online). 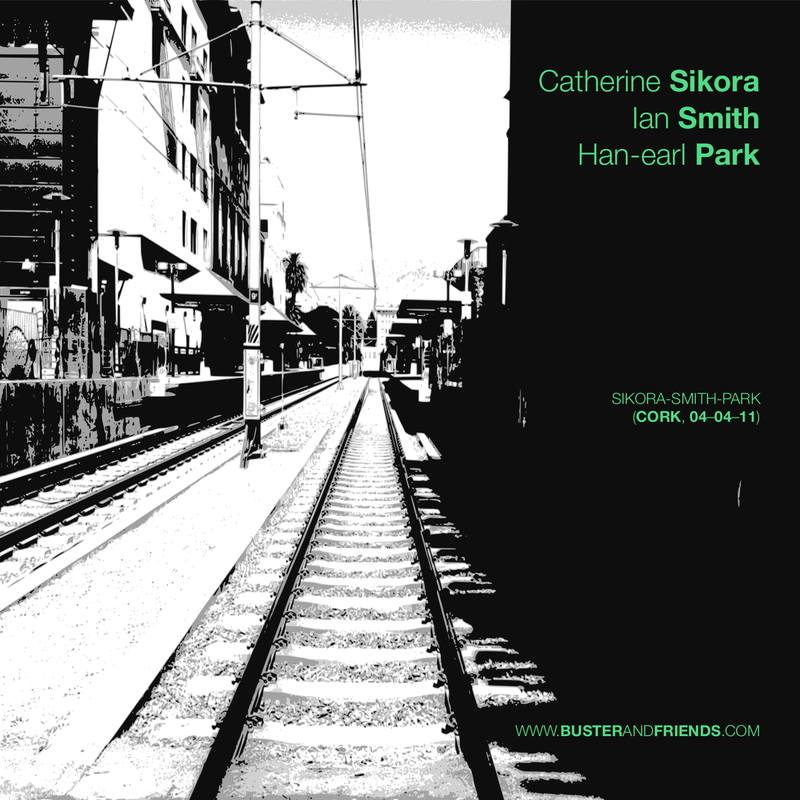 Sikora was joined by cofounder of the London Improvisers’ Orchestra, trumpeter Ian Smith (London-based, from Dublin), and guitarist Han-earl Park (then Cork-based, currently Brooklyn-based, from California). Smith and Park had just come off the tour as part of the power-trio Mathilde 253 (with Charles Hayward) with the legendary composer-improviser Ishmael Wadada Leo Smith. Catherine Sikora (saxophone), Ian Smith (trumpet) and Han-earl Park (guitar). 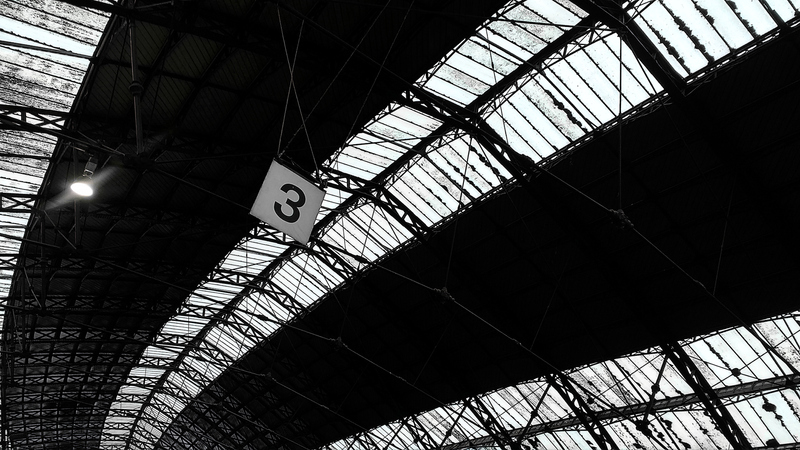 Topologically Correct Harry (16:10), 바르트 (8:03), Red Line Speed (24:20), Massimo’s Imagined Juxtapositions (11:40). Total duration: 60:13. Recorded live April 4, 2011 at The Roundy, Cork. 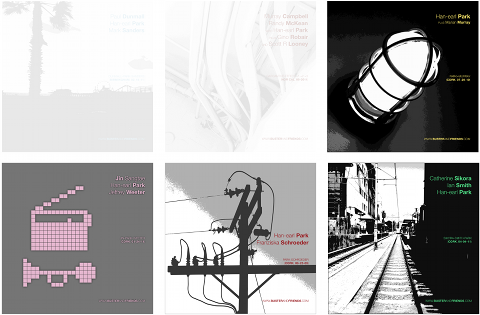 The recordings (Topologically Correct Harry, 바르트, Red Line Speed, and Massimo’s Imagined Juxtapositions) and artwork released under a Creative Commons Attribution-Noncommercial-No Derivative Works 3.0 Unported License. 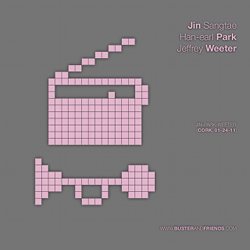 Please attribute the recordings to Catherine Sikora, Ian Smith and Han-earl Park, and attribute the artwork to Han-earl Park. Since making her way to New York City from West Cork, Ireland to study abstract improvisation, Catherine Sikora has become a well-known face and sound in New York creative music circles. She has worked with Elliott Sharp, Eric Mingus, Michael Evans, Matt Lavelle, Jeremy Bacon, François Grillot and Burnt Sugar The Arkestra Chamber, among many others. Her undeniably unique approach sets her apart from everyone else, even when surrounded by the most original and creative voices in New York City. Sikora is a contributing writer to the book “Silent Solos-Improvisers Speak” (Buddy’s Knife Publishing, Köln, DE) and is currently working on producing a solo recording. Ian Smith has performed with Evan Parker, John Stevens, Maggie Nicols, Lol Coxhill, Steve Beresford, Eddie Prévost, Greg Tate’s Burnt Sugar Arkestra, Reeves Gabrels, John Sinclair, Harris Eisenstadt and many others. In 2000 he recorded his second CD as a leader, Daybreak, with Derek Bailey, Veryan Weston, Gail Brand and Oren Marshall. 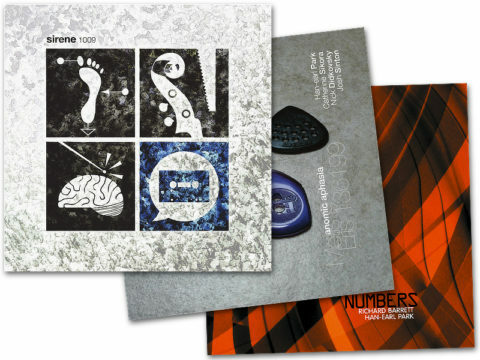 His own trio, Trian, has played the London Experimental Music Festival and the Soho Jazz Festival. He also participated in a reformation of Cornelius Cardew’s Scratch Orchestra in 1994. He has collaborated with composer Roger Doyle, winner of the Bourges International Elecro-Acoustic Music Competition, and he has been featured on two instrumental tracks by the hip hop band Marxman. He toured the UK with Butch Morris’ London Skyscraper conduction project. He cofounded the London Improvisers’ Orchestra and The Gathering. 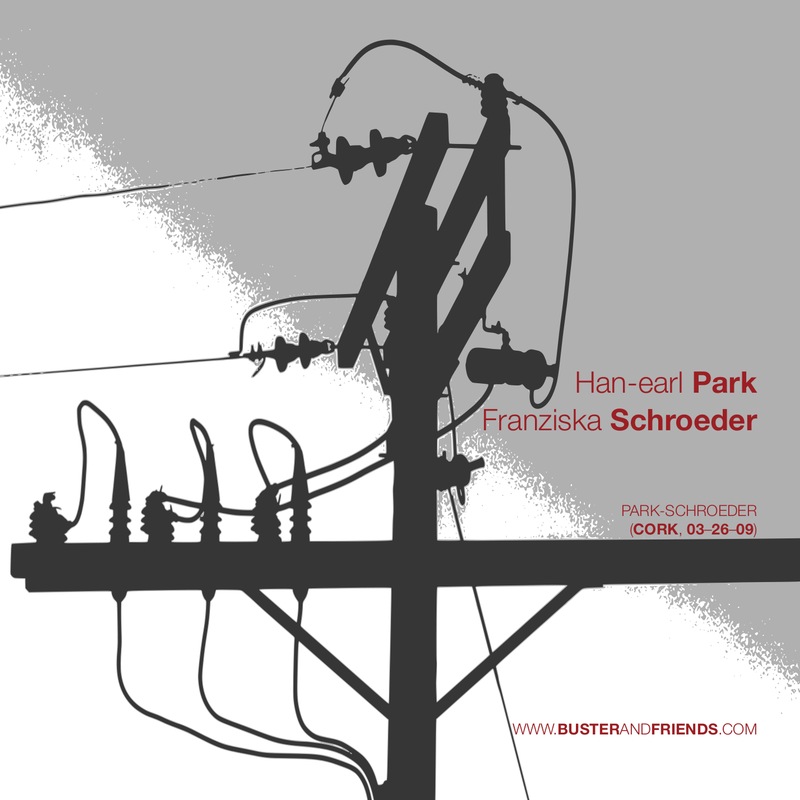 Improviser, guitarist and constructor Han-earl Park works within/from/around traditions of fuzzily idiomatic, on occasion experimental, mostly open improvised musics, sometimes engineering theater, sometimes inventing ritual. He feels the gravitational pull of collaborative, multi-authored contexts, and has performed in clubs, theaters, art galleries and concert halls in Austria, Denmark, Germany, England, Ireland, The Netherlands, Scotland and the USA. He is part of Mathilde 253 with Charles Hayward and Ian Smith, and is involved in ongoing collaborations with Bruce Coates, Franziska Schroeder, Alex Fiennes and Murray Campbell. He has recently performed with Ishmael Wadada Leo Smith, Lol Coxhill, Pat Thomas, Paul Dunmall, Mark Sanders, Matana Roberts, Richard Barrett, Pauline Oliveros, Thomas Buckner and Kato Hideki. Festival appearances include Sonorities (Belfast), Sonic Acts (Amsterdam), dialogues festival (Edinburgh), and CEAIT Festival (California). His recordings have been released by labels including Slam Productions and DUNS Limited Edition. 10-24-12: add recommended price and SLAMCD 528 info. 05-20-13: updated the ‘also available for download’ list, and add reviews. 10-07-15: add ‘Anomic Aphasia’ to discography. 11-01-15: add A Little Brittle Music to downloads list, and change currency from USD to EUR.